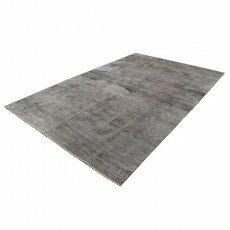 Not only this vintage rug dates back to about 40 years ago, both of its sides are designed and usable! 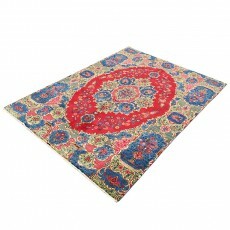 Use any side you like to carpet your floor or hang it on the wall or even use it as a doorway curtain! 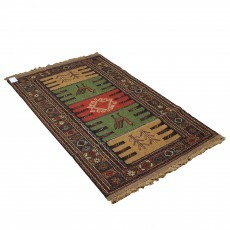 Then flip to the other side anytime and enjoy having two rugs at once! 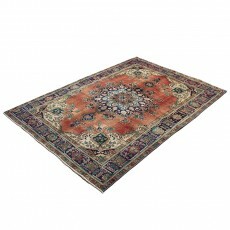 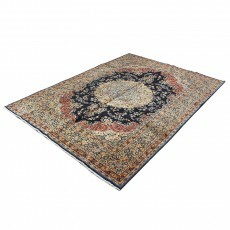 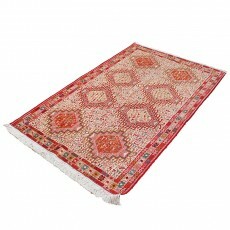 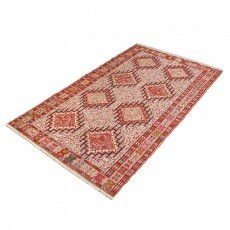 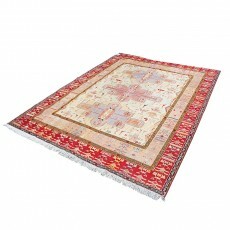 The warm colors have given life to the Azerbaijan pattern, making it a must-have to brighten up your hall. 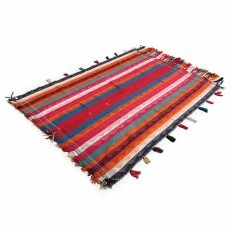 Make sure to keep away from chemically caused illnesses with organic, herbal colors used to dye the base merino wool! 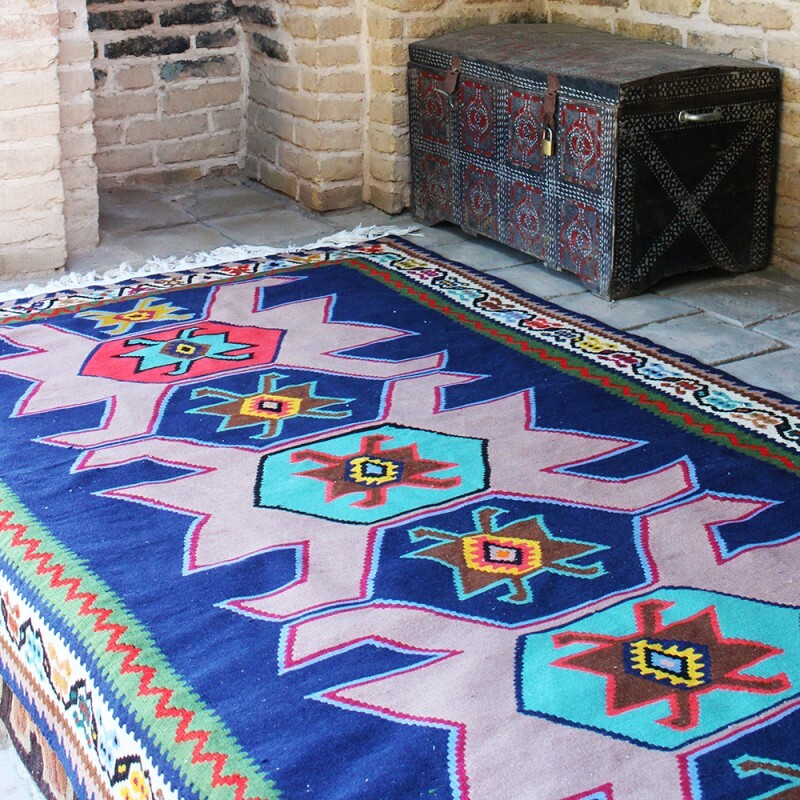 The art of Kilim weaving is among the first arts and crafts of scattered tribes in Iran; With a history that goes far beyond carpet weaving, it can be considered as the origin of carpet weaving in Iran. 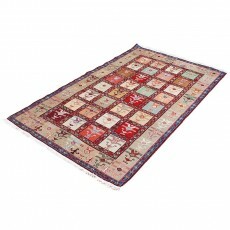 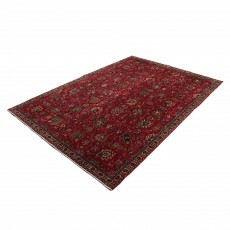 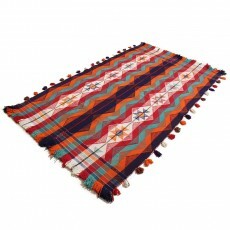 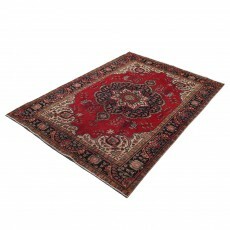 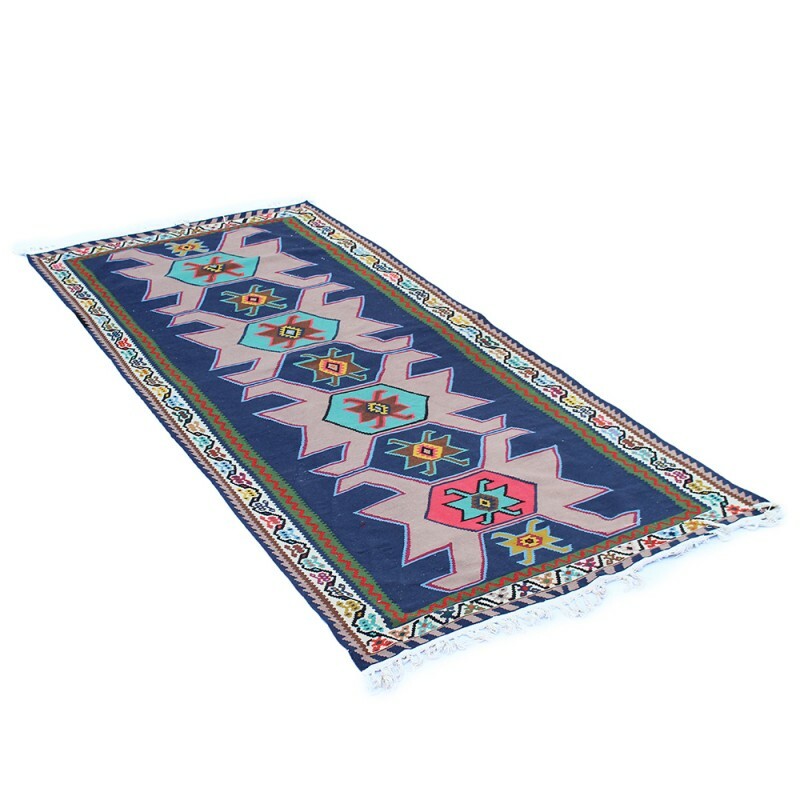 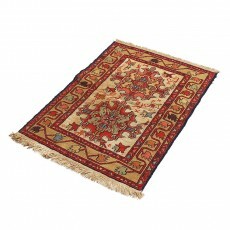 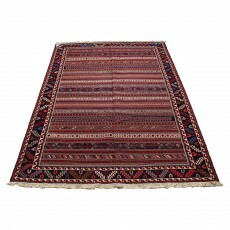 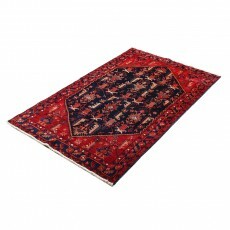 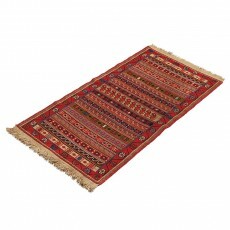 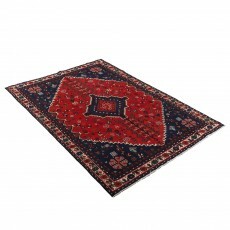 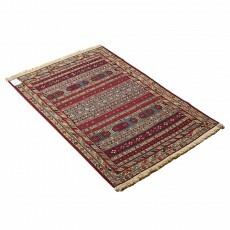 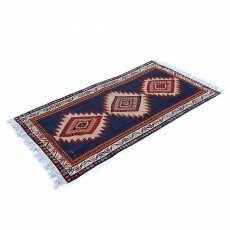 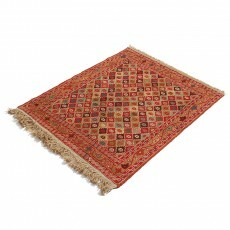 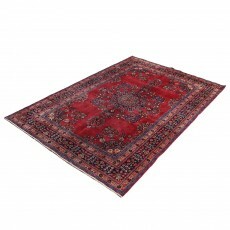 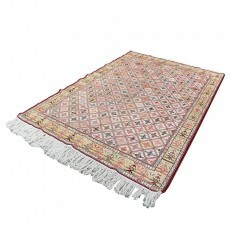 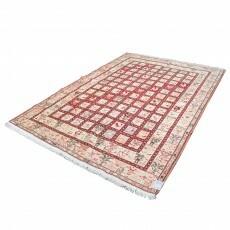 Originally used as rugs, Kilims have traditional designs similiar to what you can see on Persian carpets. 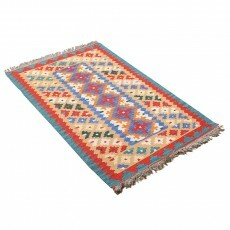 Fiber used in kilim weaving is of greater thickness comparing to the material used in fabric texture. 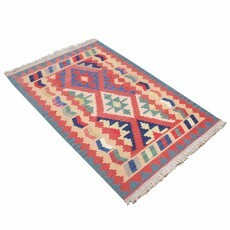 The lively shades in Kilims come from perfectly natural colors, dyed in the hands of expert weavers. 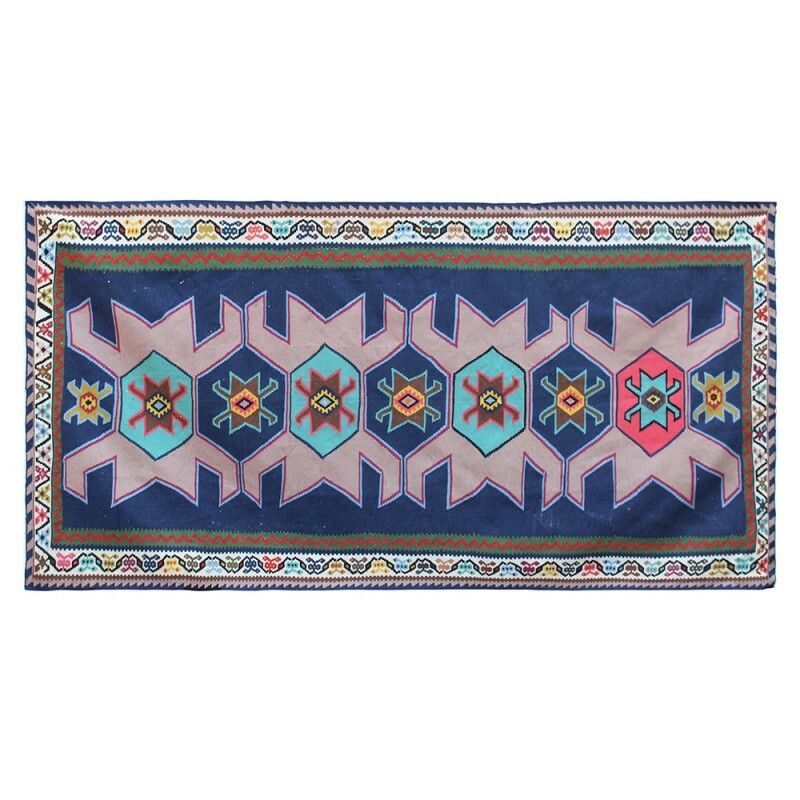 The whole process of making a Kilim is done by hand, and the natural colors add even more to the value of the work. Nowadays, the artists have found new and creative use for Kilim. 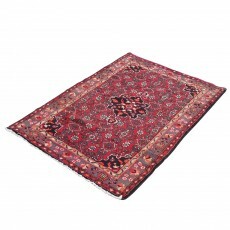 They use this Persian handicraft and its lovely designs to create lovely bags, shoes, clothes and even jewelry.